UltraVNC 1.0.4 RC17 0 out of 5 based on 0 ratings. - Exceptions thrown with no message cause access violations when Report called. - A small keepalive message is sent every 5 seconds after receiving a file chunk to keep the server or viewer from timing out during a read. This is necessary because there's no flow control in the FT protocol. I didn't notice a decrease in throughput. Keepalive support is negotiated between viewer and server. Should be fully backwards compatible, though I suppose if the viewer doens't want keepalives, the server should not use the socket timeouts. 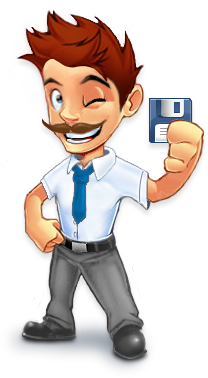 - Another big change to the file transfer module is that a temporary file is used to hold the file being transferred. When it is successfully completes, it is moved to the original file name -- resume still works too. This was because when a file transfer is interrupted, a user (ie, service tech) can't tell if the file is complete. - Many variables are now properly initialized. - The black layered window is now brought to the top every 20ms -- the start menu is still visible on the remote system so this change makes it go away faster. It's not a good fix but I couldn't find a better way with the time I had. - You can now register the service with a custom name. - When the network connection is lost, a message is shown "Connection lost due to communication failure" instead of "writeexact: socket error while writing"